Kulfi Kumar Bajewala is one of the most loving serials on Star Plus TV channel. 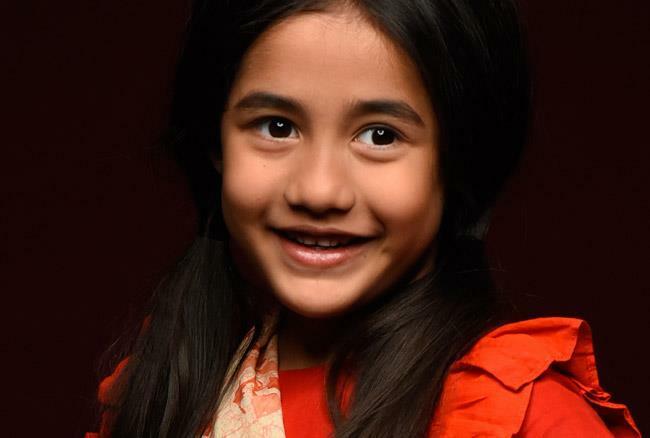 The serial Kulfi Kumar Bajewala is one of the long-running show. Kulfi Kumar Bajewala is a beautiful story of a father and a daughter. There are so many viewers who follow the daily update of the serial. Kulfi Kumar Bajewala is one of the top ten highest TRP rating serial. In the previous episode of Kulfi Kumar Bajewala, we see that Sikander and Lovely both are together practising Christmas. To see all this Kulfi and Amyrah gets very happy. After all this Kulfi and Amyrah are celebrating Christmas they both wrote there wishes in a paper and put it in socks. In the morning the paper of the chit is disappeared and because of this, they both get very happy. So this is all about yesterday. Kulfi Kumar Bajewala 3rd January 2019, written episode update begins with both Kulfi and Amyrah wait for Sikander and Lovely to stand beneath the Christmas star. Sikander and Lovely both wee bump into each other and then stand below the star. The girls were very happy seeing all this but the one person who gets very angry because of this and thata is none other then Gunjan. Mahendra calls Sikander and told him that her lawyer Apoorva is there to met Lovely. Apoorva scolds Lovely for agreeing to perfrom the play in Amyrah’s school. Lovely tried to stop Approva but he shouts at her for still start love with Sikander. He calls Lovely and said that he cannot broke Kulfi and Amyrah Heart. He further tells her that he fulfill their wish. Apoorva tries to inflame Lovely but she fels him to stop accusing her husband. Sikander, Kulfi and Amyrah wait for Lovely but he tells them that he felt that she will not come.